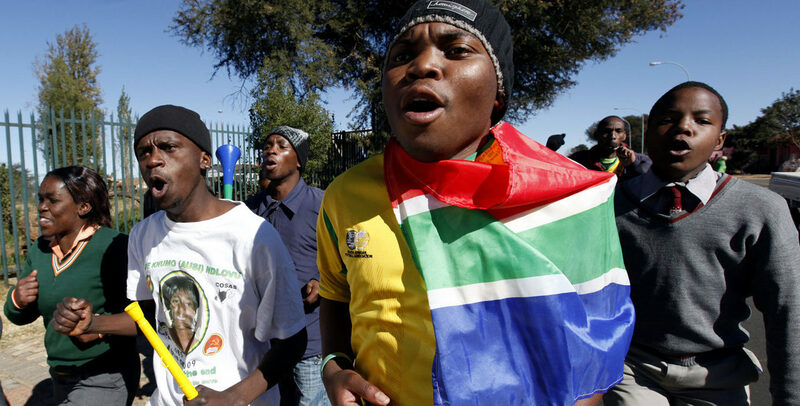 Why Is South African Youth Not Voting? Ahead of the sixth democratic elections that mark 25 years of democratic rule in South Africa, low youth voter turnout continues to be a thorn. But this is not unique to South Africa. Historically it is a trend found particularly in other Democratic countries such a Britain, Canada and the United States. Young people in particular have been identified as apathetic and uninterested in voting, and possessing low levels of political interest, knowledge and understanding. This is how the Annual Socio Economic Research Institute framed the question at a seminar held at the Market Square in Newtown. Are the youth disengaged, angry, agnostic or apathetic? According to IEC, in as much as young people turned up in their numbers at the first session of voter registration in March this year, they still account for the lowest number of registered voters. Those between the ages 18 and 19 currently account for 15.6% of the estimated eligible voting population, while those between 20 and 29 account for 56.7%. Anger and frustration (due to poor service delivery) can result in youth seeking alternative ways of political engagement to have their voices heard and the challenges they faced addressed. This includes protest, strikes and demonstrations. Young people are not apathetic, they still see value in voting, but are disillusioned with democratic processes such as elections. Many young people are coming of age politically without a clear understanding of their roles as citizens in a democratic system. Indeed there are various reasons that could account for the youth’s seemingly agnostic approach to voting. One other reason could be that there is a lack of identification with figures in the political arena. For instance, what is the role of youth structures in political parties, how does their visibility or lack thereof contribute to youth apathy towards politics? Youth has been central to the struggle for freedom in South Africa. The history of the ANC Youth League is only one case in point. How, then, can youth structures of political parties translate the rhetoric of their respective mother-bodies to the youth at a register they can engage with? Delving deeper into one of the points raised above, there are suggestions that youth are disillusioned with democratic processes which are limiting and at times undemocratic. Surely in a country chasing the fourth industrial revolution, it is startling that there are limited and fairly inaccessible platforms where the society in general can be involved in policy changes. One would imagine that coupled with serious political education programs in communities, politicising citizens through participation can be achieved using mobile cells and such devices. Another point to consider is education. Unlike international countries with whom South Africa share a low youth voter turnout, our country has a history complicated by settler colonisation. In response to this, calls for decolonising have grown steadily and activists of this cause were also cognisant of the need to decolonise the education system under the suspicion that the current system still reproduces problematic social standards and theories reminiscent of the past. To what extent then can education be said to influence the attitude of the youth towards politics and how can a decolonised pedagogy help? Political parties seem to be responding to the need for youth visibility in parliament if leaks of parliamentary lists from the various parties are anything to go by. Some have accused the political parties for tokenism, charging that youth figures in parties are used purely to garner votes from the public. It remains to be seen what other programs the parties will employ to ensure increased youth participation in political processes going forward. With elections looming large, parties will have an even clearer picture, post-elections, of what steps to take.